As long as I can remember the place was café Amstelvaart, or really café-billiard, and that confounded billiards table was inconveniently placed in the centre of the pub. I have been in once and didn’t stay long: although rumor has it this place was the oldest pub in De Pijp (as the area is called), hospitality stil had to be introduced here. It started to suffer increasingly from nasty smokers cough and now it’s been put out of its misery, starting a new life under the direction of Yuri Hegge. Foeders (Casks), as he baptized the pub, refers to beers of spontaneous or mixed fermentation: they are large to very large wooden barrels in which these wild beers mature and rest. Just as yeast is the ultimate secret for some brewers, and the soul of their beer, so are these casks invaluable to a brewer of wild beers. They give identity and a clear signature on the beer – each cask reacts in its own way, and the brewer knows all those traits by heart. Eventually he blends beers from different casks into a beer that usually has the same flavors each time – some casks give such a nice maturing result the beer therein is not mixed, but launched as if it were a ‘single malt’. for his own account, seven days a week, from 12:00 until late at night – if he gets his coveted Late Hours permission even until later in the night. 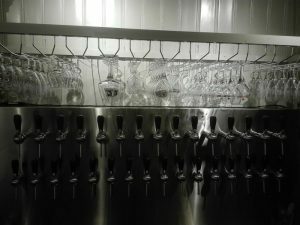 where 31 taps have been fixed. The bar itself boasts another double tap, one serving cold water. 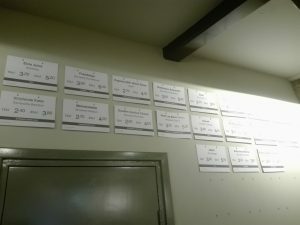 If you want to know what’s on tap you have to search a little: nicely made signs hang from an opposite wall. 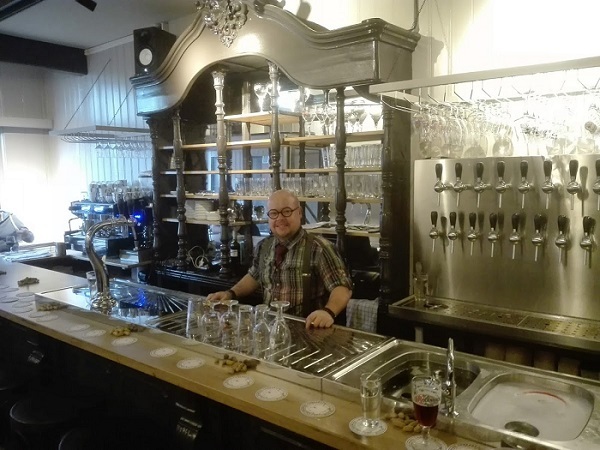 Furthermore, the plan is to change the beers on tap as much as possible, with only one fixed line he inherited from the previous owner serving Brand Pilsener. The bottle range will only cover large bottles, with an international character. It will certainly not only be a Belgian affair but with the innate knowledge of the owner, a big role is quite obvious for Belgian classics. Do also expect Dutch and international beers surprises. 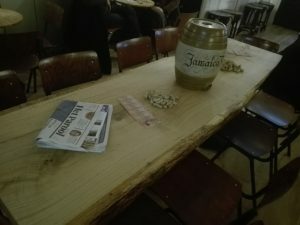 Some beers are served with a matching appetizer (grey shrimps with Rodenbach, for example) and on the tables and bar shelled peanuts are abundantly found: you are supposed to throw the caps on the floor after peeling, but do not expect a full menu here. Rumors about a special cheese are getting strong but a gastropub it will not become. Why would it: although quite some restaurants still need to add a serious beer offering, the middle class restaurants with beer pairings in Amsterdam today is quite in order. 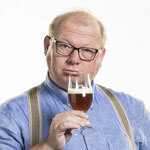 I especially rejoice in a new beer gem that first and foremost aims to keep the classics alive. 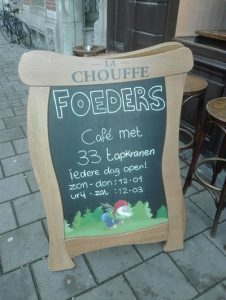 In short, a visit to Foeders and Yuri Hegge is wholeheartedly recommended. Trams 3 and 4 stop nearby, and even from Metro Station Wibautstraat and Weesperplein it’s no more than a ten-minute stroll.